The National Institute of Health (NIH) has decided that 23 square meters (about 25 feet by 10 feet) is adequate living space for a captive chimpanzee to spend his life. This is about one quarter of the space recommended by the Institute's scientific advisory board. 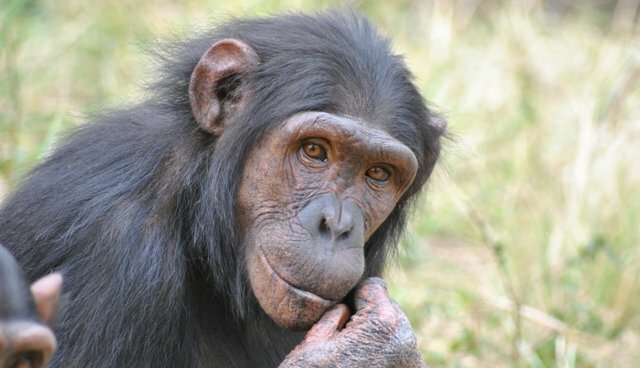 In June of 2013, the NIH announced that they would retire all but 50 of the 360 government "owned" chimpanzees to sanctuaries. The NIH based its decision on the recommendations of an independent advisory council. "... Other aspects of enclosure design, such as complexity and vertical height, are considered by many experts to be more important than space density with respect to chimpanzee well-being and the promotion of species-specific behavior. "Encouraging species-typical behavior among chimpanzees does not simply result from providing a minimum square footage of living space per animal. Rather, the characteristics (complexity) of the space as well as enrichment opportunities have a significant effect on promoting species-typical behavior. The environment should take into account the individual chimpanzees' and colony characteristics, including social, health, age, and biological factors." Despite the recommendations of the scientific advisory board, the NIH still chooses to remain ignorant regarding the psychological "complexities" of sentient persons being held captive for research. Clearly, "species-typical behavior" for chimpanzees does not include living in captivity. No "complexity" or "enrichment opportunities" can ever replace living in the wild. And "colony characteristics" cannot be replaced by forced cohabitation and psychological trauma. These are not subtle nuances or minor differences -- especially for the 50 remaining government "owned" chimpanzees. "The NIH decision on chimpanzees in research is a step forward," said Dr. Lori Marino, NhRP's Science Director. "But the fact that they have rejected the recommendation to increase living space for chimpanzees reflects the fact that chimpanzee legal rights still need to be recognized so that their welfare is a priority and not at the whims of others."